Social media search is starting to catch up to what users want. A post has been buzzing around the interwebs this week that saw organic results only accounting for 13% of the space on a computer screen for a search query. If you follow discussions in the SEO world you’re not surprised by this news. Google has been rolling back the organic results for years. Sometimes they do it slowly without notice and other times they make big changes and SEOs get up in arms. Google’s purpose is to provide the most relevant information on the Web. They do not say that this information has to be organic. My guess is that if Google could deliver adequate results that were entirely paid they would do so. Or if they could do entirely paid results and “organic” results for their own properties like Google+, YouTube and swiped information and snippets they would do so. That’s how things have been going. You can still get great traffic, leads and sales from search engines by creating great content and being better than a paid ad. There is value in that practice. 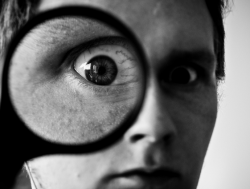 Something else that’s happening in the search world is the rise of social medial search. Social media has added another layer of value to search in the last few years. In some cases the search is different and provides something Google can’t and in other cases social media is simply picking up on the demand for organic results that Google has taken away. For example, this past weekend I was caught in a traffic jam on the interstate. Traffic Alert: 2 left lanes closed I-94 westbound at mm 37 due to traffic crash. Traffic using right shoulder. Nearest city is Menomonie. Instantly got what I was looking for with that result. That’s one example of how fast social networks are when it comes to the latest news. But this could have more of an impact. 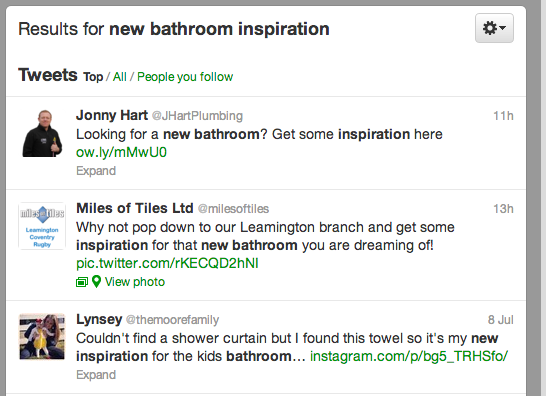 Let’s say I want to find some “new bathroom inspiration”. 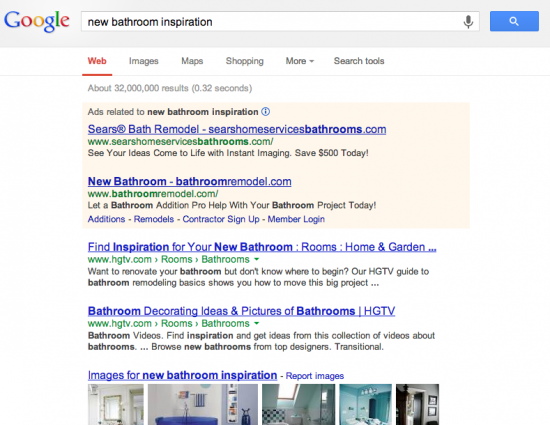 Google currently provides two paid results, two organic results and some swiped images. Twitter is more relevant right now with its results if you’re looking for organic results. For this type of search you can see how creating content can prove to be important for social media search. By creating content for this type of search query you can get traffic from the people looking for the content. On Google, you have to pay for it. Facebook doesn’t bring any results for me right now for “new bathroom design”, but I think they’re working on creating something more advanced with Graph Search that should make it possible to find information like this in the future. The question will be how social media sites will profit in the future. Twitter and Facebook already have paid listings and those will appear in search as well, but on social networks people are looking for status updates and other postings from people they trust. If you’re creating content that people share on social networks you stand to gain as social media search picks up steam. I’m not entirely sure how social media search will be used in the future, but it seems that at least in the near term there is an opportunity to earn organic rankings on social search by creating content that people like to share. It’s a good strategy for growing your business especially if you’re losing organic traffic from Google and if you don’t want to pay for ads on Google or with social media sites.